Marketing automation is expected to penetrate more than 45% of B2B businesses in this year. With some industries (Like Tech and ICT) already showing over 80% penetration, the chances of its further popularity are very bright. By definition, marketing automation refers to using technology software to market products/services on multiple channels and automate repetitive tasks. From email marketing, CRM, communication, to blog posting and social media management; there are a range of areas where tasks can be communicated. The following statistics indicate how the industry has evolved in the past decade. Searches for “marketing automation” keyword, the searches has increased by 25% in the past one year. You can check this using any keyword tracking tool or Google’s free keyword planner. Forbes magazine estimates that 63% companies outclassed their competitors using one or more automation tool. As of December 2013, 25% B2B Fortune 500 companies were using some marketing automation tool like Makesbridge or Marketo. The percentage is expected to reach 45-50 percent by this year end. Surveys indicate that companies increase sales by 77%, and conversion rate by 53%, if they automate their marketing. Lead nurturing is the most popular feature in marketing automation that has been cited as the most effective tool to boost sales. Why Marketing Automation in 2015? In the following, I’m going to give you a brief version of the reasons making marketing automation an absolute necessity for your business. 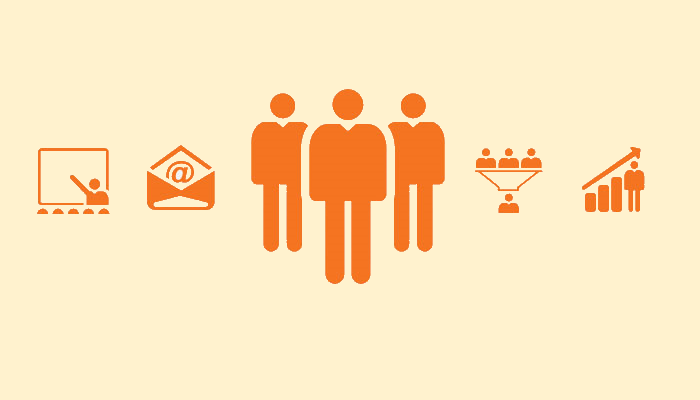 Marketing automation integrates your marketing and sales channels in a delicate way. Companies with thigh alignment between marketing and sales tend to generate 46% more sales. By having a marketing automation solution, a marketer can integrate her digital, social and email marketing campaigns. This cross-integration between different channels and aspects helps in achievement of goals fast. You can automate selling process, set auto-responders, schedule emails drips, automate social posting, and manage content marketing exercise. It’s more like a 24/7 workforce that is performing your duties even if you are not on the desk. One of the key features that every platform offers is marketing intelligence. When you subscribe to marketing or email marketing platform, it includes a tool to track standard set of statistics, like; open rates, website traffic, sources, click through rates, offer subscriptions, and bounce rate. Subscribing to a multi-tasking platform enables you to track your email marketing, social posts, content marketing, and SEO campaigns. Finally, if you integrate marketing automation with CRM, it can be a great source to track prospects, score leads, and close better deals. The concept of newsletter is not new; it’s one of the most popular forms of marketing. The same concept drives the growth of landing pages; a trendy tool in online marketing. Marketing automation vendors allow you to create custom newsletter and landing pages to close the deal on the spot. With a reliable marketing automation platform, you can improve landing pages exercise, set up A/B tests, and maximize outreach of the marketing or sales campaign. It’s an open secret that SMEs have limited marketing and sales budgets and they’re also short on time. Studies indicate that single biggest concern of small businesses is time leakage in the business processes. Marketing automation can get small businesses out of this by automating their processes and rectifying time leakages. Finally, if you are a marketer or a young entrepreneur, it is strongly recommended to use technology to your advantage and apply the latest marketing trends. Marketing automation integrates technology to your business and enhances business’ efficiency and return on investment. At Makesbridge, we aim to provide you the most affordable and scalable technology solution for marketing and sales needs. Contact our support for details.